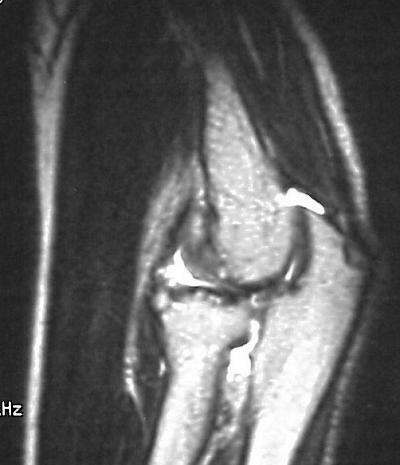 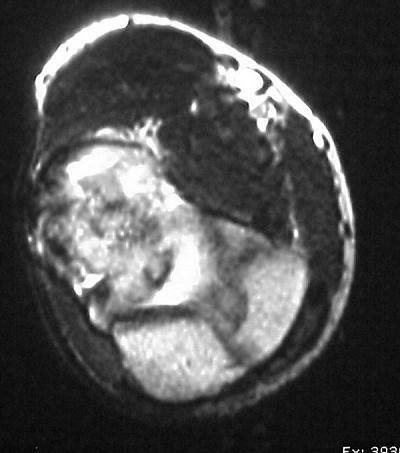 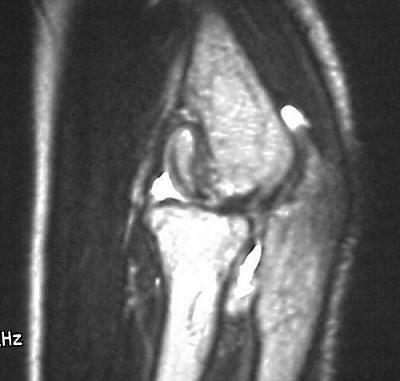 Five years later, he has limited motion (E/F 35/100) and painful clicking with elbow flexion and extension. 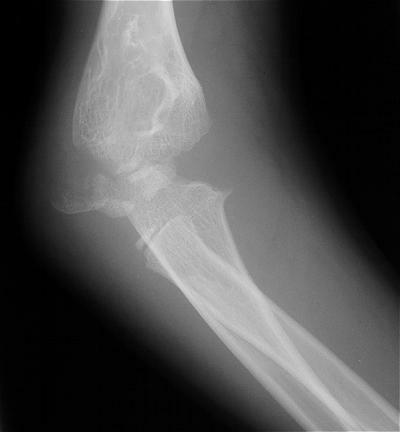 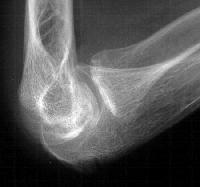 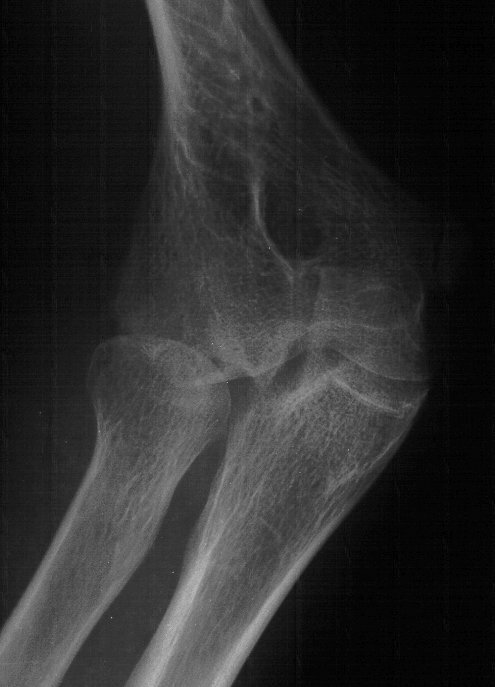 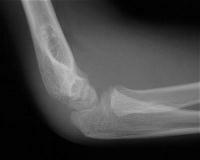 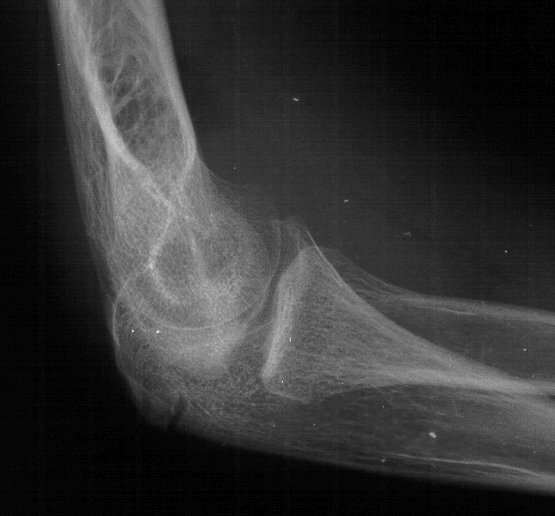 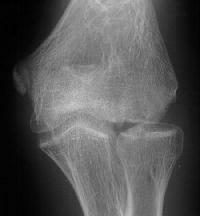 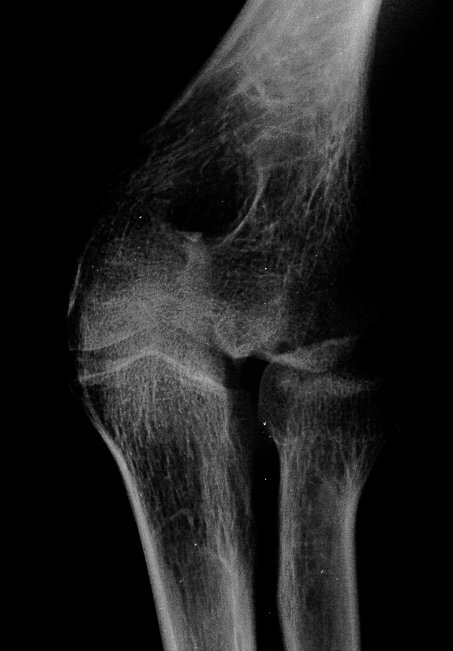 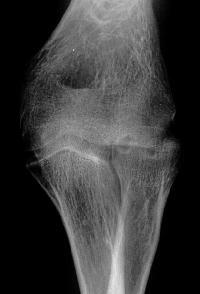 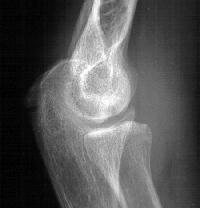 Plain films show humeral osteophytes and posttraumatic changes of the capitellum and radial head. Treatment options? Do nothing, Open reduction and bone graft, sequestrum excision or radial head excision. 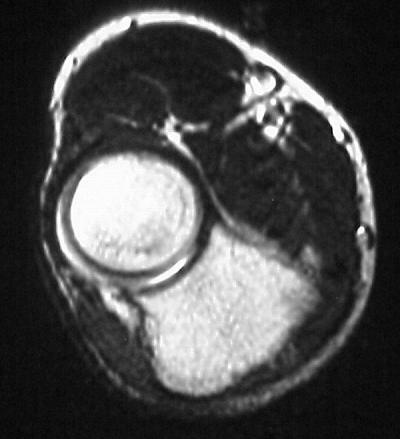 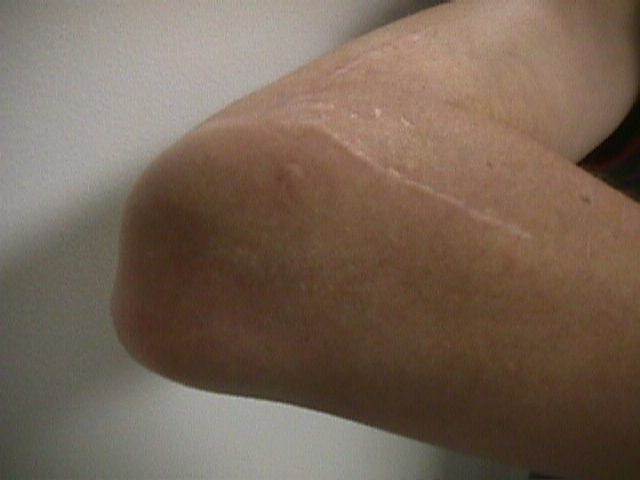 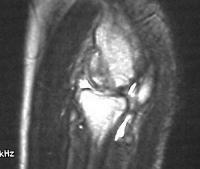 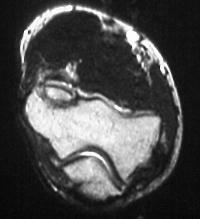 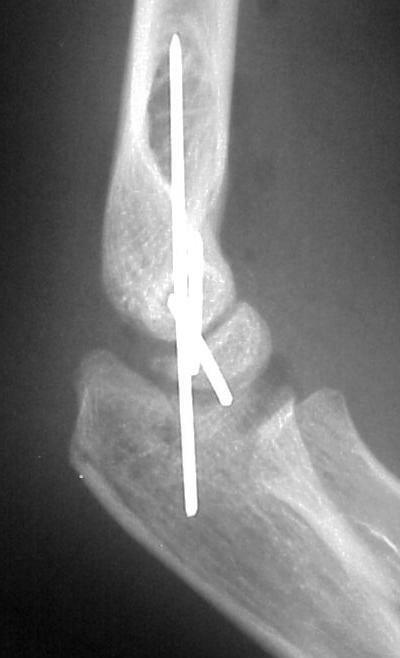 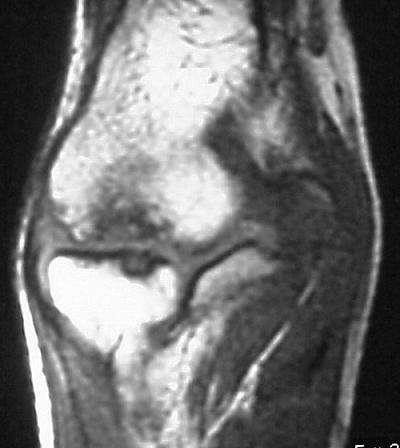 In this case, at surgery, the loose articular fragment was too thin to allow reliable fixation, and was simply excised. 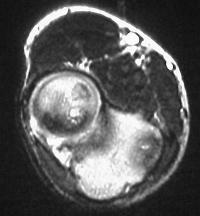 Postoperatively, pain is improved, although some clicking persists. 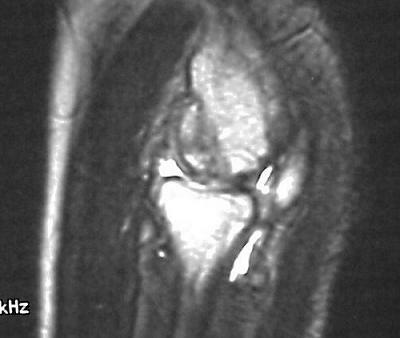 Range of motion is marginally improved. 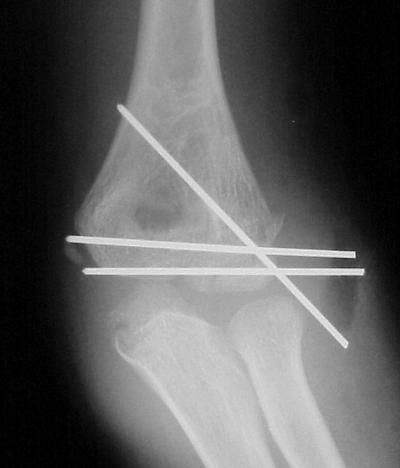 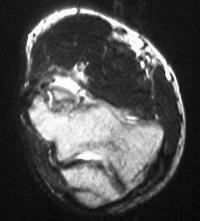 Radial head excision remains an option if he has painful problems later.